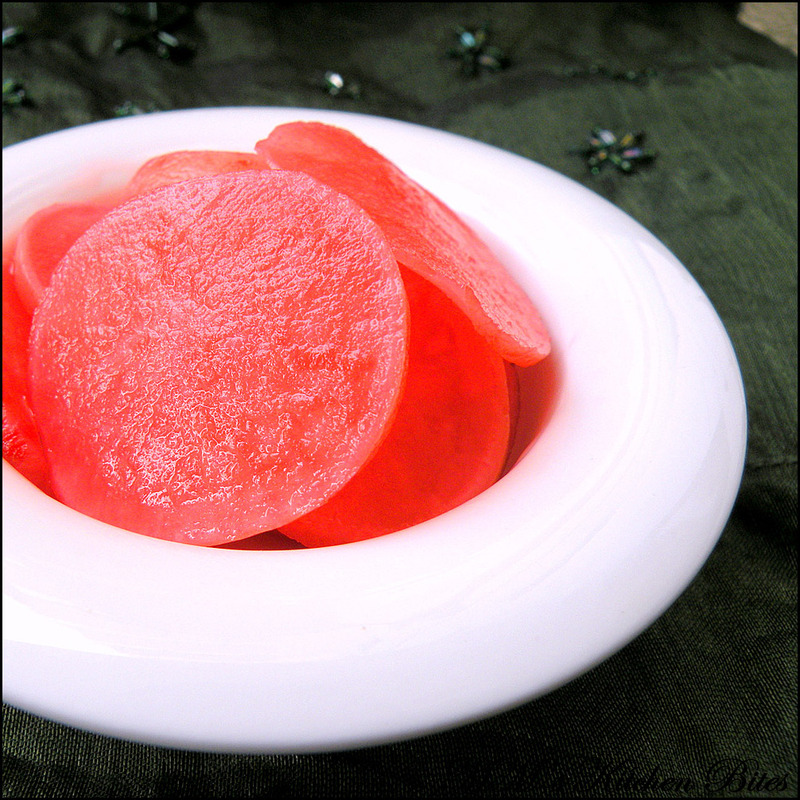 MM's Kitchen Bites: Pickled Radishes...Tickled Pink, Part 2!! Pickled Radishes...Tickled Pink, Part 2!! Put the radishes in clean air tight glass jar. Mix vinegar, water, sugar and salt in pan and bring the mix to a boil. Stir till the sugar dissolves completely. Switch off the gas and pour the mix in the radish jar. Cover and cool to room temperature and then refrigerate. Perfect zingy addition to your sandwiches, burgers, salads, tacos, quesadillas or alongside any kind of barbecue. The pickle gets ready in 24 hours but I prefer to open it after 3 days as by then the stink goes away. It lasts in the refrigerator for about 2 weeks. You can play around with this and add carrots, black peppercorns, garlic cloves or any other whole spices.